The old phrase goes “out with the old and in with the new,” – this phrase can relate to nearly EVERYTHING in your life including your skincare products. Do you need to change your skincare products for each season? Should you review what is in your beauty bag and dispose of old products? How often should you clean or replace your makeup brushes? Should you follow expiration dates on makeup and more importantly, sunscreen? Does sunscreen go bad or become less effective? I spoke with Dr. Prystowsky a leading board-certified dermatologist in NYC , Dr. Prystowsky offer tips on how to easily get your skin spring and summer ready. Since I need SPF every day Can you use suntan lotion as a moisturizer? For every day SPF under your make-up or elsewhere on your body you do not need a water resistant product unless you are working up a big sweat from exercising outdoors. Most products designed for the beach are water resistant so they last if you are swimming and/or sweating. These products tend to occlude your pores so they are not so good to use as your daily moisturizer, especially if you have acne. I have such a hard time finishing and throwing out my products. When is it time to say goodbye ? If something has been open for a year, I usually will throw it out unless it is alcohol or acetone (as in nail polish remover). It is always a bit of an unknown how well preservatives will protect the product after they are opened. Of course if something looks funny or smells bad get rid of it immediately! What’s the best moisturizer to use on normal skin? , a moisturizer I developed because it contains vitamins A, D, and E as well as essential oils (sunflower and cucumber). I have always had rosacea. How can I get rid of it once and for all? There is no cure for rosacea. While dermatologists understand it better as research continues, we are still struggling to get at a root cause that will get rid of it “once and for all”. It is best to think of it as a nuisance condition that will require continual management to keep it reigned in. Avoid getting a lot of sun damage while in your teens and twenties; this may help to decrease your chances of getting it. Your dermatologist is best equipped to evaluate your rosacea and choose which management strategy is best your rosacea as there are different approaches depending upon the type of rosacea that you have. 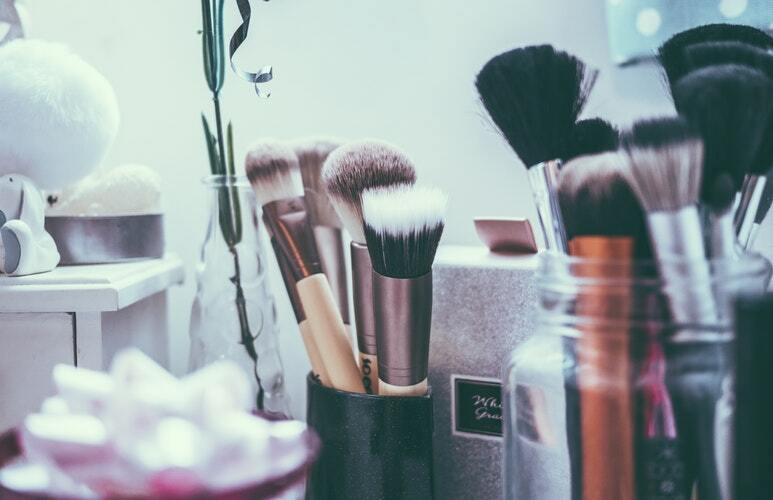 How often should I change my makeup brushes ? If you buy high quality brushes, you can wash them. Probably once a month is a reasonable interval on average but it all depends on your skin. If you have lots of acne break outs, are prone to skin infections, or have a chronic skin condition affecting your face such as eczema or psoriasis then a more frequent washing of your brushes may be indicated. Sunscreens frequently have expiration dates on them. But if not, I would throw away and replace anything that is a year or more old. What products do you recommend to get rid of my scaly winter skin? The Vaseline Rescue line of products will help repair your dried out scaly winter skin. Dove has exfoliating body polishes designed to help remove dead skin cells that are also helpful for this situation. List 5 products that will make me summer ready ? Vaseline Intensive Care Cocoa Radiant moisturizer or Vaseline Clinical Care Extremely Dry Skin Rescue Lotion depending upon how dry your skin is after the long winter.